Excessive exposure to ultraviolet light and pollutants in the air can have dire effects on your skin. But lipophilic oils can defend your skin from the relentless onslaught of harmful elements. But do you know which oils are lipophilic? Do you know how each one benefits your skin? Here are three ofthe most common ones you can find on the store shelves. Helianthus annuus is a plant that is popular in its common name, the sunflower. The beautiful yellow color of the flower of the plant draws your eyes to it. In the same way, skin nurtured with sunflower oil always draws second looks from admirers. It is used for cooking and cosmetic applications too. Sunflower oil is known to be effective in fighting germs and strengthening hair. anti-aging. Sunflower oil has emollient and viscous qualities that moisturize and smoothen skin. Since it has anti-inflammatory properties, it acts as an anti-acne agent as well. The anti-oxidant properties of the compounds in the oil repairs any microscopic damage from the stresses the skin is subjected to daily. It generates skin cells that are damaged and offers effective protection from ultraviolet radiation. Moringa oleifera is a tree that grows in tropical latitudes. Found originally in North India, it has since spread to many parts of the world. In countries where it grows abundantly, the leaves of the tree are more popularly used as an ingredient in cooking. High in protein, as well as essential vitamins and minerals, Moringa leaves are considered a formidable source of nutrients and anti-oxidants. Nothing is wasted when it comes to the Moringa tree. The leaves and fruit are edible, and the oil extract has numerous uses. For starters, Moringa oil is used in traditional medicine. The oil is now finding its way as a core ingredient in cosmetic products such as shampoos, conditioners, soaps, facial toners, and moisturizers. Regular use of these products leads to clear, bright skin that can make you appear years younger. The Argan tree is a native of Southwestern Morocco. The oil is derived from the nut of the tree and is exported to many parts of the world as a miracle beauty ingredient. The value of Argan Oil lies in its high vitamin and anti-oxidant content. The oil benefits not only the skin but also the hair as well. Aside from its total benefits for healthy skin and hair growth, Argan Oil has protective properties, which make it an ally for men and women leading busy and stressful lives. You might not realize that you are using lipophilic oils as part of your beauty regimen, but now you know why they work well. So when you buy cosmetic products next time, look for natural oils in the ingredients list. 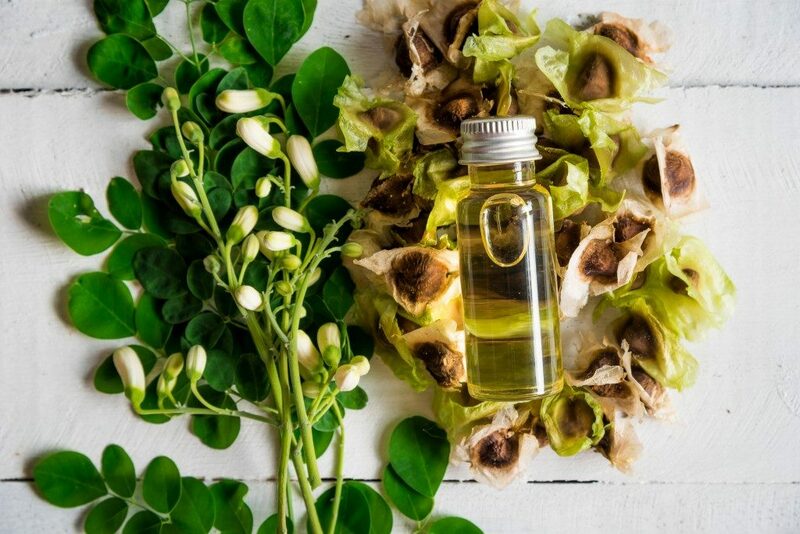 Look for sunflower oil, Moringa extract, and Argan Oil—three of the most beneficial natural oils being used in cosmetic applications today.